I grew up reading The Berenstain Bears’ books and loving them. Now I have a daughter of my own and I want to continue sharing The Berenstain Bears’ with her. Now they have a holiday cookbook! How fun, not only do you and your child get to spend time together making a meal but The Berenstain Bears’ are narrating the book. Inside The Berenstain Bear’s Holiday Cookbook you will find 40 different recipes covering various holidays throughout the year. 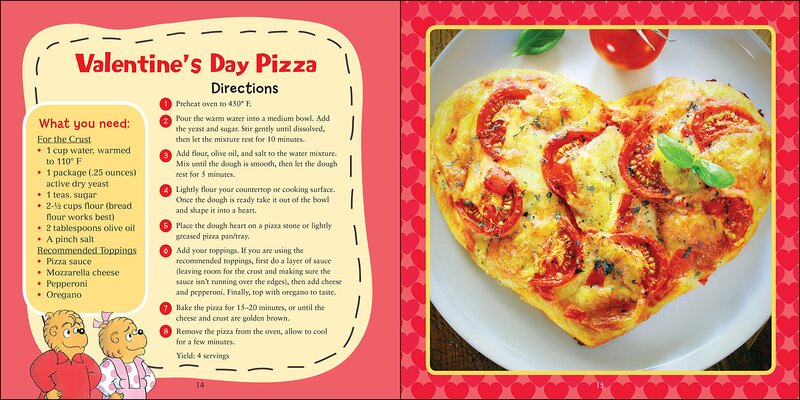 One of my favorite recipes was the heart shaped pizza. What a fun way to celebrate Valentine’s Day with your children. I like how you make the pizza crust from scratch. What a great way to get your kids involved in making dinner! I was a little bummed the pizza sauce is suggested to be canned but I can see how it would be extremely time-consuming to make your own pizza sauce and dough. 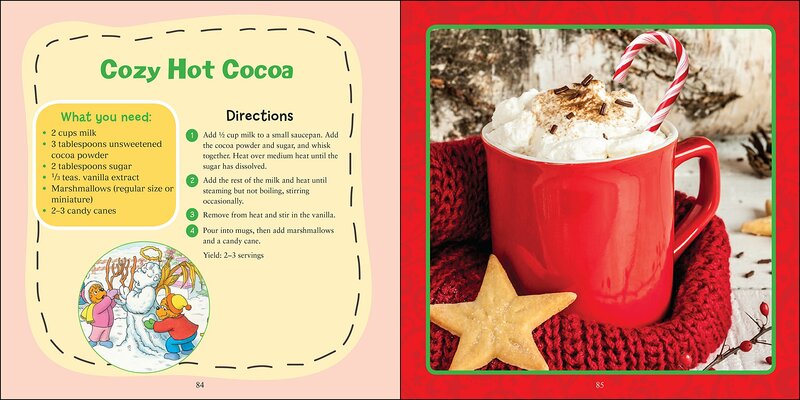 Another favorite of mine is the recipe for Cozy Hot Cocoa. Now that the weather is getting cooler this recipe will come in handy. I’ve made the cocoa a few times and I’d say it’s more like 2 kid servings or 1 adult size serving. It’s also a nice base recipe. You can add different ingredients to it and make it a little more festive depending on the day. You can also make it more festive by purchasing special marshmallows, like peppermint ones or even marshmallows in a fun or unique shapes. 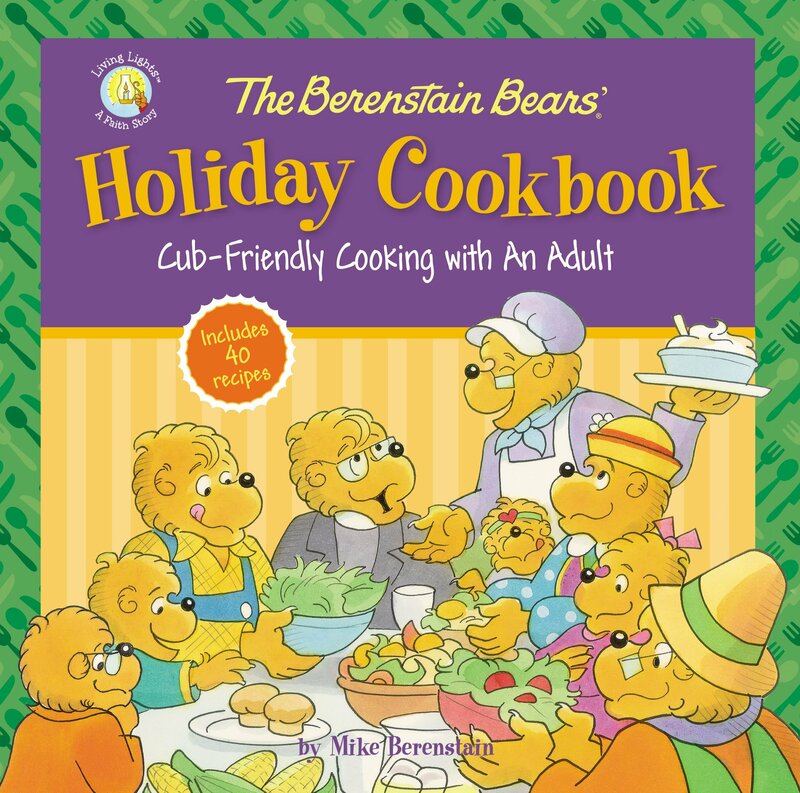 The Berenstain Bears’ Holiday Cookbook is full of recipes that are kid friendly. I would say kindergarten and up would be able to really help make most of the recipes. However, you still need an adult to be there helping. I don’t allow Peyton to use knives so I am the one that does all the slicing. I also do not let Peyton use the oven or stove yet, so again I do all those steps. But there are still plenty of mixing and blending of ingredients that she can help out with. You can purchase a copy of The Berenstain Bears’ Holiday Cookbook online or at your local bookstore.